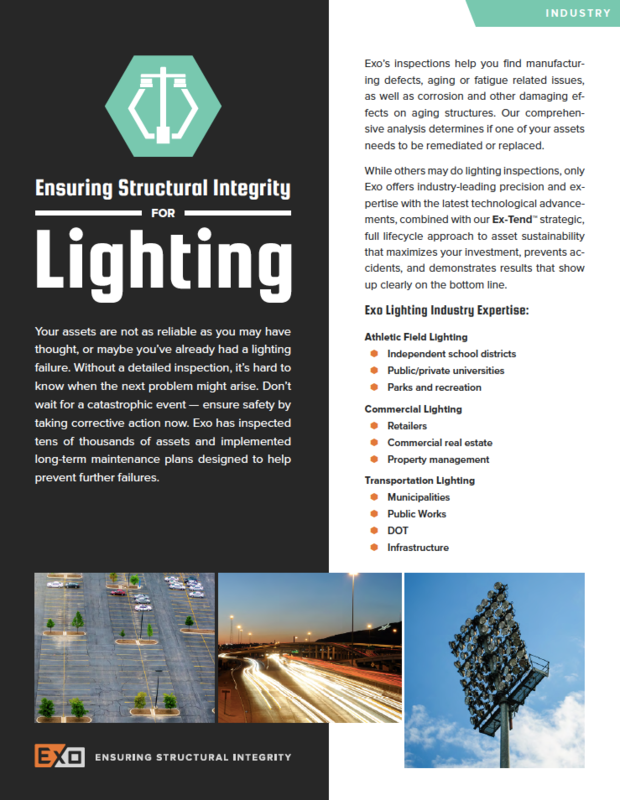 Exo’s lighting pole inspection services incorporate our Ex-Tend data-driven lifecycle management approach to increase the lifespan of your assets. Through this approach, we help you proactively make lighting pole repair and replacement decisions, so you can ensure long-term structural integrity. Copyright © Exo Group, LLC. All Rights Reserved.